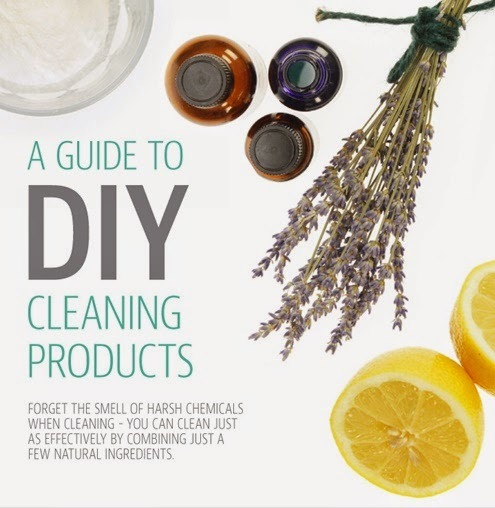 I'm smitten by this lovely visual guide to making DIY cleaning products. The photo illustrated collection of simple recipes shows how to make eleven completely natural, non toxic solutions: toilet bowl cleaner, grout cleaner, laundry detergent, fabric softener, stove top cleaner, burnt pots and pans, carpet stain remover, wood polish, two all purpose cleaners, and air freshener. Check it out and try a new recipe today. Recipe conversion note for Team America: A liter is almost equivalent to 1 quart. I will print this right away. It is very helpful! Thanks for sharing! wow - I am sold. You always have been handy and good at figuring things out.